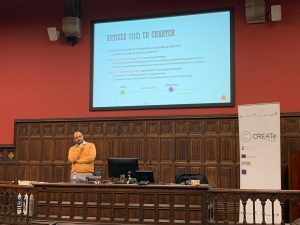 Report: CREATe Public Lecture by Dr. Martin Husovec – How Difficult Is It to Repeal New Intellectual Property Rights? 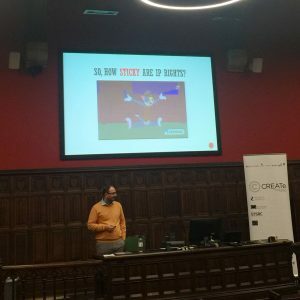 On the 6th of February, Dr. Martin Husovec (Assistant Professor at Tilburg Law School) presented a lecture focused on the difficulty in repealing and reversing new intellectual property rights. 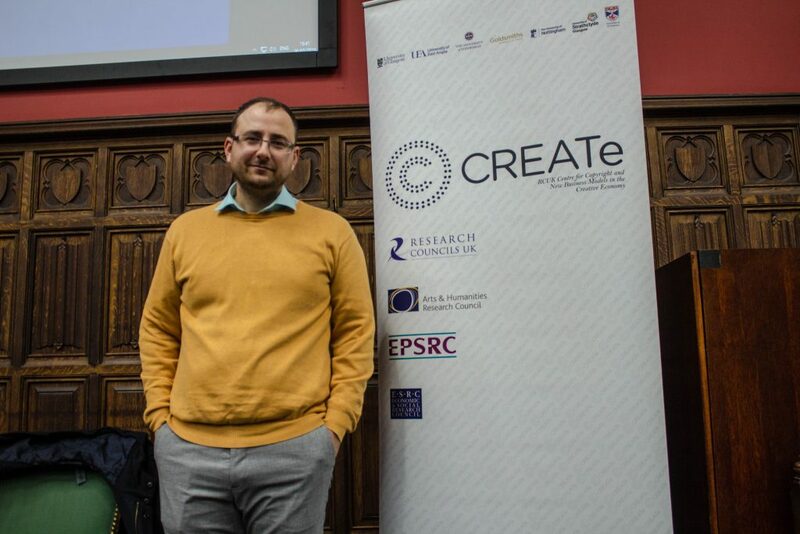 Chaired by Lecturer Dr. Marta Iljadica, the lecture was held in the University of Glasgow’s Arts and Humanities Threatre as the first of CREATE’s Spring Public Lecture Series. Dr. Husovec focused on the practical obstacles involved in repealing new intellectual property rights when they do not achieve their intended results or have negative consequences. The purpose of the inquiry is to assist in informing our thinking about when new intellectual property rights should be introduced, and under what conditions. Viewing the practical obstacles of repeal within the context of the EU, Dr. Husovec addressed the inherent unpredictability in enacting legislative changes to intellectual property rights that have not been tested at the national level. This uncertainty requires that we have a better understanding of the mechanics involved in reversing and repealing legislative expansion of intellectual property rights. His inquiry is particularly topical given the proposed legislative expansion to various intellectual property rights as part of the EU’s proposed Digital Single Market Directive and the resulting controversy. In assessing how “sticky” new intellectual property rights are at the EU level, Dr. Husovec looked to the 1996 Database Directive as an example of a legislative change that did not achieve its desired result. Despite the fact that this sui generis right did not bring substantial benefits to society, the fact that it also did not cause measurable harm meant that there was little effort to repeal it. He proposed that this suggests that only those intellectual property rights that are shown to have significant negative consequences will draw the attention of legislators for repeal. On an institutional level, however, Dr. Husovec addressed the significance of the EU legislative process and the mechanical differences between directives and regulations on future attempts to repeal legislation. More particularly, the repeal of legislation in the form of a directive at the EU level may not actually reverse the legal changes at the national level. In contrast, the repeal of regulations would have a uniform effect. Therefore, he proposed that new intellectual property rights be implemented vis-à-vis EU regulations versus directives so that their repeal and reversal is more streamlined and direct. Dr. Husovec acknowledged that his suggestion that new and untested intellectual property rights be implemented in the form of regulations over directives is somewhat counter-intuitive, given that regulations are traditionally understood as more rigid and direct application on member states. The trade-off, however, is that any future attempts to repeal the legislation would be free of the fragmentation and decentralisation that would result from a directive. In addition to the institutional framework for repeal, Dr. Husovec looked to the complications in not only repealing legislation but reversing its effects. In particular, he looked to the temporality of various intellectual property rights that would give rise to claims for compensation should they be cut short by legislative repeal. In the case of the repeal of neighbouring rights, this could result in the termination of rights that would otherwise last for 70 or more years. As a result, legislatures may choose from a variety of options: they can either allow existing rights to expire; compensate rightsholders who have been adversely affected by the repeal, or; substitute current rights for analogous ones. In each case, the reversal of the effects of the new right is either costly or lacking in immediacy. Taken together, the overall proposition was that, even in cases where legislative repeal of new intellectual property rights has garnered enough political motivation to go ahead, the actual reversal of the effects of these rights is difficult to fully untangle (indeed, it is difficult to think of any case where a new right has ever been fully repealed). Given the difficulty in putting the toothpaste back in the tube, the implicit takeaway point from the lecture was that proposed intellectual property rights should have a strong evidentiary basis, because the repeal and reversal of these rights is both complicated and potentially expensive.